Historic Downtown Savannah homeowners that are looking to give their bathroom the upgrade that it needs rely on our expert general contractor at American Craftsman Renovations. Whether you are looking to enhance your master bath, guest bath, hall bath or all three, we are here to help. Thanks to our familiarity with historic homes in Savannah and our many years of experience, we are the trusted choice for bathroom remodeling and renovations services in historic downtown Savannah. 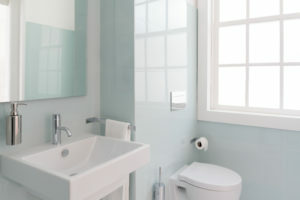 Let us install a new separate shower and soaking tub as well as a new vanity and new tile today. You may have an idea or vision for your space or you may need some inspiration and we are here to help. You can make minor enhancements with the existing layout that you have in your bathroom or you can reconfigure your entire space. No bathroom remodeling project is out of our scope and we are committed to providing you with the best bathroom remodeling experience in historic downtown Savannah.